Passive pickup for six string guitars with Alnico 5 magnet. Vintage output Telecaster rhythm pickup designed to deliver that classic, warm, punchy neck tone without the traditional single coil hum. Noiseless Tele neck pickup that delivers classic output and tone. Although this pickup is hum-canceling, it looks like an original single coil. The lows are full and warm, and the treble response has that classic spank. Pairs well with the Vintage Stack or our Hot Stack Tele Lead. - Number of Conductors: 4 - DC resistance: 15,8 kOhm - Colour: Chrome. 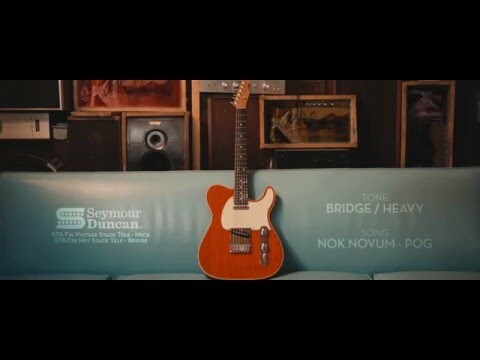 Do you own Seymour Duncan STKT1N Vintage Stack Rhythm Telecaster Pickup or have you had a chance to try it?